Coming from Indonesia, Darwin was the closest entry point to Australia, a short two hours flight. As it is located in the far north, Darwin enjoys a tropical weather and July and August are perfect months to visit this region. 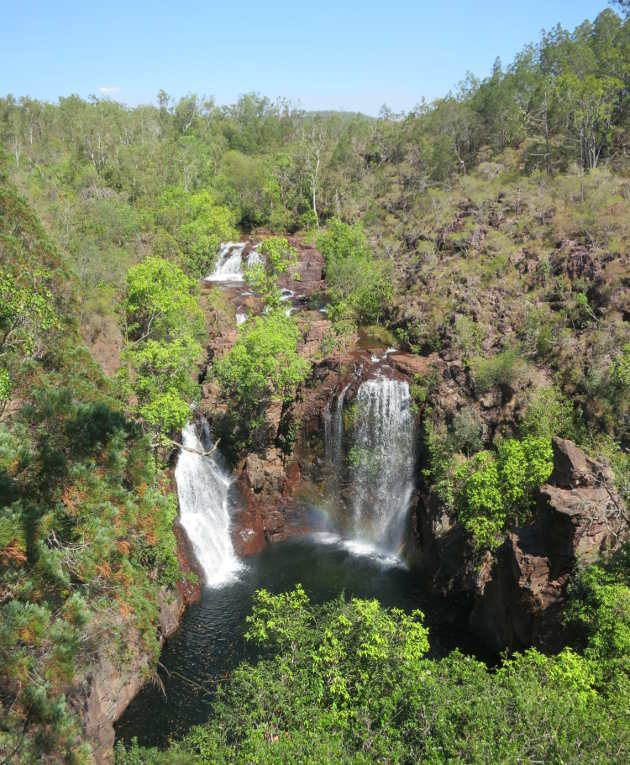 Darwin is a good starting point to explore Litchfield National Park and Kakadu National Park. Unfortunately I didn’t have much time as my plan in Australia is more focused on the East Coast. As a result I opted for a day tour to Litchfield including a small boat cruise on a crocodile infested river. 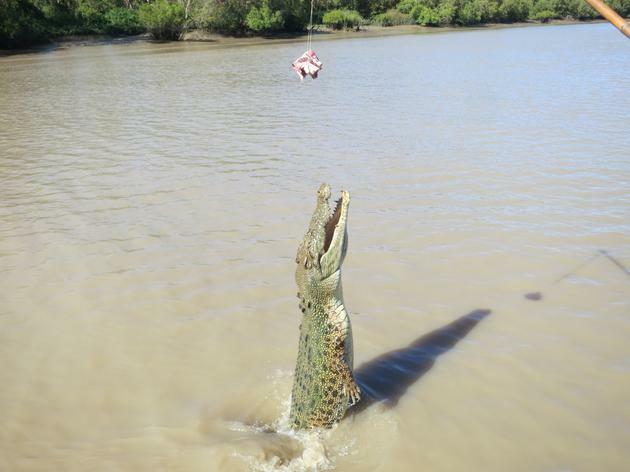 The particularity of these crocodiles is that they jump straight out of the water to catch the piece of meat the ranger is taunting them with. These are not small animals: the biggest reach more than five meters and weight several hundreds kilos. You can feel how powerful they are when they grab that piece of meat, a real killing machine. The rest of the day was spent driving around Litchfield National Park, having a look at termites mound and swimming in water holes. A great day overall. This is however not a good way of exploring the region as you have limited freedom and it’s very expensive. The best would be to rent a campervan and drive around both parks. Kakadu is much bigger than Litchfield and I hope to visit it one day.